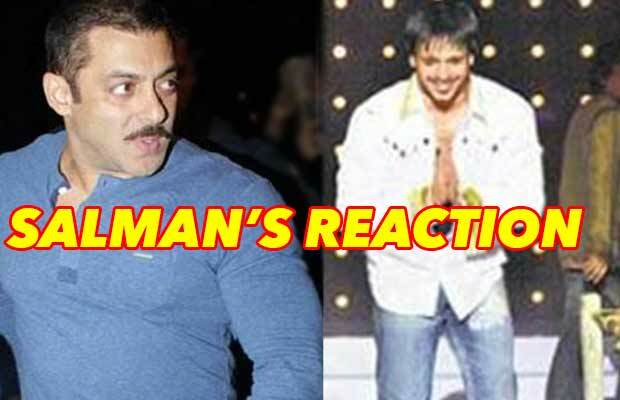 Watch: Vivek Oberoi Requesting Salman Khan To Accept Apology! Watch: Did You See Salman Khan’s REACTION When Vivek Oberoi Asked Him For Forgiveness! [tps_footer]Remember how Salman Khan and Vivek Oberoi’s fight became a spectacle to watch for everyone after Salman made threatening calls to Vivek. Just when Salman had broken up with Aishwarya Rai Bachchan, Vivek was steadily becoming close to Ash, which led to a fight between the two. Things went worst when Vivek had organized a press conference at his residence against Salman Khan where he had said that Salman had threatened him. Many times, Vivek had tried to move on and had apologized Salman Khan publicly, but the Bajrangi Bhaijaan star paid no heed to his apology. Also, remember how Vivek folded his hands with a sweet gesture requesting Salman to forgive him at an awards ceremony? Well, at the IIFA 2016 press conference, which was held in Mumbai earlier this year, Vivek was once again triggered with a question on Salman Khan and giving no response, Vivek who is deeply wounded, decided to walk away with a polite smile on his face. The very recent incident, during the trailer launch of Great Grand Masti, Vivek was once again triggered with a question regarding Salman Khan ignoring him. When asked about Salman had ignored him on the sets of Great Grand Masti, Vivek at first laughed and later smartly joked around saying that he is tired of answering the same question and that someone else from his team should answer. And that’s when Aftab came to his rescue saying that that it is a matter between two individuals and that we should not interfere. Well, now that Salman Khan and Vivek Oberoi are coming together under the same roof at IIFA 2016, will the two exchange pleasantries and let bygones be bygones? Time will tell better! Meanwhile, the entire film fraternity has reached Madrid, Spain for IIFA 2016, which is scheduled for 23-26 June. Previous articleNawazuddin Siddiqui Breaks His Silence Over Chitrangada Singh’s Scandalous Allegation! Next articleHrithik Roshan’s Sons REACTION During The Rehearsals At IIFA!